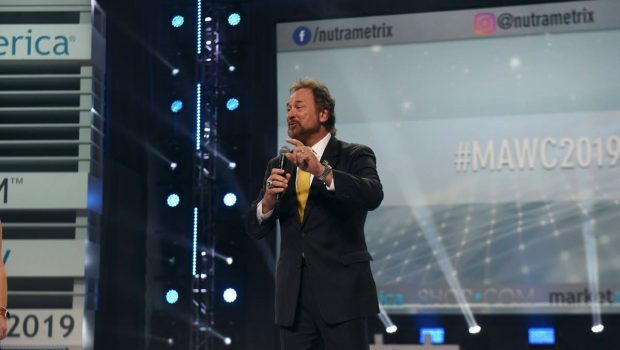 Team, I’d like to share with you a special guest post from Market America | SHOP.COM Executive Vice President Dennis Franks, filled with some great business building info and inspiration. Be sure to share this with your team because this is something everyone will benefit from reading as we build towards #MAIC2019! Begin by calculating the general expenses to attend International Convention. Estimated cost for attending the International Convention – $1300-$2500 depending on where you are coming from. Now, we have to identify your MA Major and what are the 3-4 products, or service you are going to offer or currently selling in your business. Have to discuss this based on an example. Let’s talk numbers to earn an extra $325 a month for four months or $1500 to pay your way to the International Convention. If it was a Box if Daily Essentials plus a value size bottle of OPC-3 the GRP would be $37.20 and 83 BV you would need 9 people purchasing a month. This would also generate 747 BV each month and if activated, you would earn a minimum of a $300 commission. Now if you got one person to join you in earning their way to convention on the left to do this ( 747BV ) and one person on the right to do this for 4 months, you would earn an extra $900 in Commissions. This is my favorite using the TLS weight loss solution. I like the combination of TLS Core and TLS CLA as a combination for weight loss plus the rapid results menu plan. It is a GRP of $35 and 62 BV. 325/35 equals 10 customers per month. That is $350 in GRP plus 620 BV or over 4 months you would earn $300 in commissionsif you were activated. You can sale TLS 21 Day challenge Kits earning $49 on each. You would have to start seven new Customers a month. The BV per Kit is 70. That is an extra 490 BV a month. You could sell three boxes of Trim tea with the Trim Tea menu plan for $120 earn $33 in GRP and 60 bv. You would need ten new customers a month. If you’re looking to fill your funnel with prospects, while having fun and making immediate income in a natural, organic progression, you’ll absolutely want to leverage our Hostess Incentive Program – Party with Me, $100 for free! As we all know, building a solid team takes time and we want to make sure we are spending our time with Qualified prospects in a duplicatable process. With this Incentive Program, you can use all of the tools provided in our Media Index to set yourself up for success in hosting any one of our 3 duplicatable events: Beauty Basics, All About Skin, It’s Your Time to Shine. You have access to an event guideline and an attendee packet of information for each of these events. Keep in mind, the average sales at one of these events with 8-10 guests is $1,000. Of which, about 30% will be immediate retail profit. That is an average of $300 profit. If you commit to doing 1 event per month over the next 4 months, you would earn $1,200 just in retail profit! If you want or need to kick it in high gear to maximize your trip and profitability, then conducting an event every other week (2 per month) would double your retail profit to $2,400. If you want to be consistent and help your team do the same, we recommend selecting 1 night per week to be designated for events. Help your team mates and have even more fun and success in working together! So lets all make it a goal to keep things simple and duplicatable and pair it with our commitment to our own success. 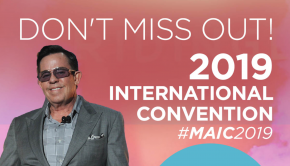 In scheduling 1-2 events per month you’ll not only have the opportunity to earn enough retail profit to fund your next trip to MAIC, but you’ll have met dozens of people who you may have never known before! In utilizing the hostess incentive program, you’ll also be booking event to event, scheduling 1 on 1 consultations, closing sales, and having guests simply evaluate the plan. Whether you are majoring in WebCenters or not, leveraging the WebCenter division is a great way to create the cash flow necessary to earn your way to International Convention. The system is built upon setting demo appointments with the product specialists who can sell the websites for you. You simply need to identify potential business candidates who need to improve their online presence. The average retail profit for one website sale is $1,000. And the WebCenter Product Specialists sell more than 25% of their qualified appointments, which means that just 4 sales appointments would result in a website sale. Therefore, over the period of 4 months, a WebCenter Owner should set the goal of 1 website candidate appointment with maWebCenters Sales Specialists each week, which would result in at least 1 sale per month at $1,000/each. By being conservative with the activity goal, we could almost guarantee the necessary 2-3 website sales to create the $1,300 – $2,500 to fund your trip. I am sure you are understanding the action plan of earning your way to International Convention. You just have to set your goals and a plan of action to make it happen. Coming from an International location, we have to up our efforts. (Goal of $2500) You will need to earn $625 a month for 4 months to make it happen. You have to adjust your numbers. In addition to the examples above, you can double your efforts in the number of customers you serve and you can add another Major/product line to the mix. Sell one web site a month through the WebCenter program earning $1000 per website sold to make enough capitol to fund your trip with plenty left over. It is unlimited in the combinations based on the scope of our product lines to make it happen, if your set your mind to it. You have the ability to make it, do you have the drive and ambition to execute the plan. That is up to you. 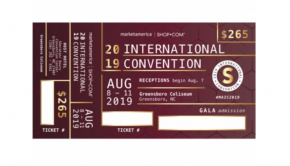 Start your planning today, organize other UFOs who want to take on the challenge to liquidate your costs to attend the International Convention August 8-11 in Greensboro, North Carolina.